Whilst browsing through an Antique & Collectables store last month I stumbled across this great 1950’s Christmas Catalogue. Whilst looking through the pages of all the available goodies I stumbled across a piece of furniture that looked awfully familiar! 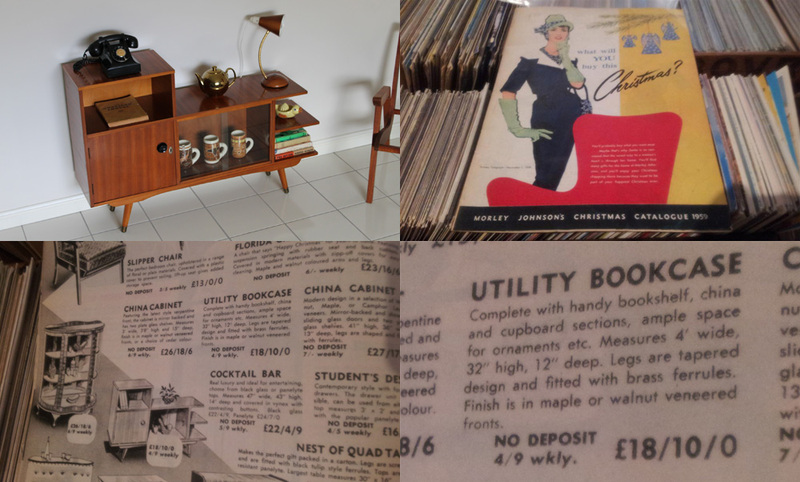 Sure enough, it was the Combo Unit that I had listed on the site for sale a few months ago – http://www.stillbroke.com.au/previously-sold/1950s-mid-century-combination-unit , although it’s correct terminology at the time was a ‘Utility Bookcase’. It was great to find it and read though the original description along with seeing its original advertising picture. Even my own display for the photo shoot from 50+ years later bared resemblance to how it too was marketed! Original advertising from a 1959 catalogue depicting a piece of furniture recently sold by Still Broke Enterprises. Hi! I hope you have all had a great start to 2013. For me it has been good. I picked up 3 really special pieces yesterday (one that I had been chasing for a while) that will be previewed and available in the coming months. Until then I thought I’d share some Mid Century Mulga Wood souvenir ware from the nations capital, Canberra, with you. Mulga Wood Book Ends & S & P Shakers. You often see Mulga Wood souvenir ware around. It’s fair easy to recognise, and a lot of the time is not all that exciting. Why are these pieces any different? Well perhaps to you they’re not, and that’s cool, everyone has an opinion, but to me I think they’re pretty special, especially our 4 legged little friend. What I think adds that little bit extra to these pieces is the photocopied note from the diary of the lady who originally owned them. On the 13/6/1956 she took a trip to Canberra and purchased these 2 pieces of souvenir ware to remember her time there. 57 years on and our little friend still stands tall together with his salt & pepper shakers! I’d just like to wish you all a very merry Christmas and happy new year! Looking forward to 2013 and all the adventures it will bring. Stay safe, take care and I’ll catch up with you in the new year! 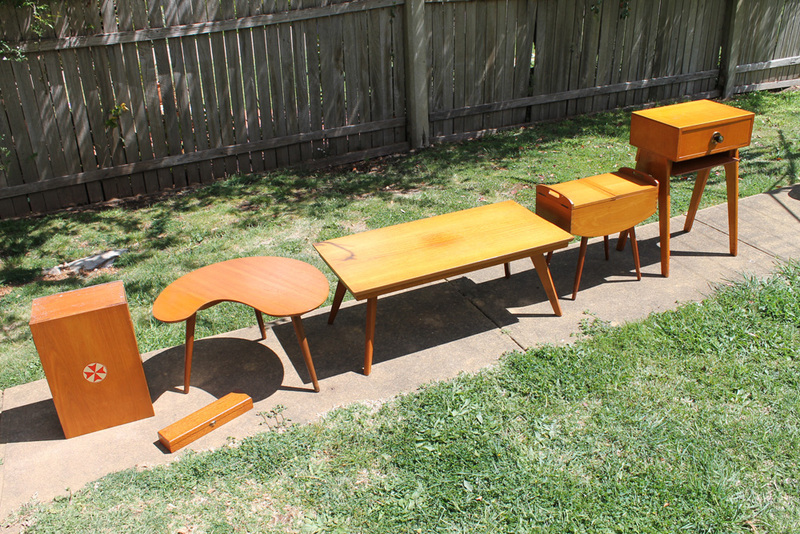 Check out these 2 awesome dining suites that have just been added to the online store! The first is an early 1950’s Dining Suite. 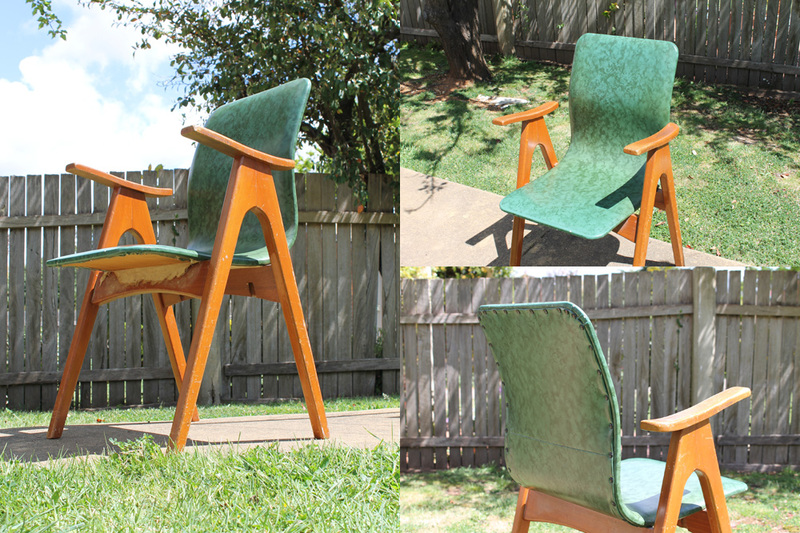 Comprising of 5 pieces and manufactured from a Queensland maple it has that awesome ‘atomic’ style design/influence that is so recognisable from that era. The second is a late 1960’s Parker 7 piece suite manufactured out of solid teak. This setting oozes that famous danish style design and still has its original, bright and funky orange/yellow check upholstery. Its great seeing these 2 suites side by side. You can really appreciate the difference in style and design from each era. How awesome is this chair? And its story is just as good! I purchased it from an old couple a few weeks back. They were moving into a retirement village and no longer had a need for the chair. The couple told me of how they were married in the 1960’s and upon moving out into their own home they needed some lounge chairs. 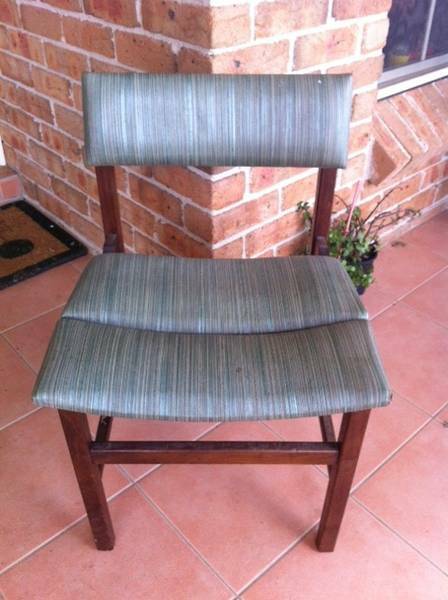 Unfortunately money was tight and all they could afford from the local second hand dealer was a pair of the above chairs that were originally from the Warwick public library in Queensland. 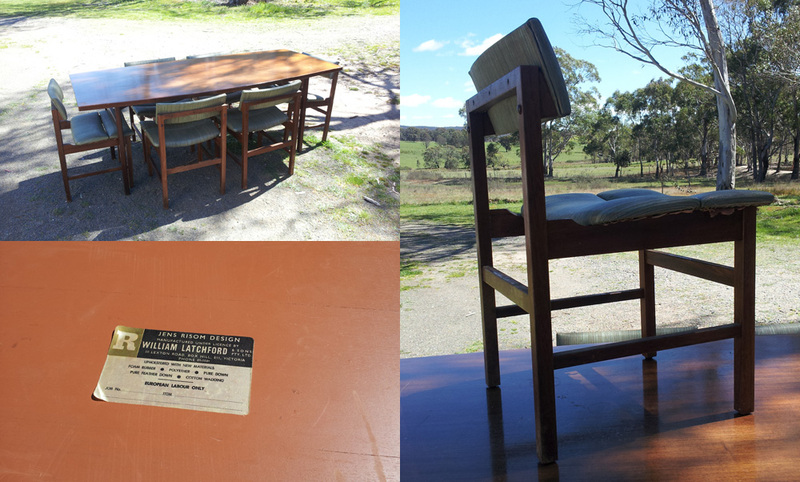 As time went on the chairs were moved from the lounge room into the bedroom for use as a ‘bedroom chair’. When quizzed on the other chair I was informed that quite a few years ago the steam bent plywood back had cracked and it was disposed of…………..
Never mind though, one is better none! And the story to go with it adds that nice, personal touch, to know where it came from and why it was used. Plans? I’m thinking I’ll restore it, may be a few weeks/months until I get around to it however I definitely think it’ll be worth it! 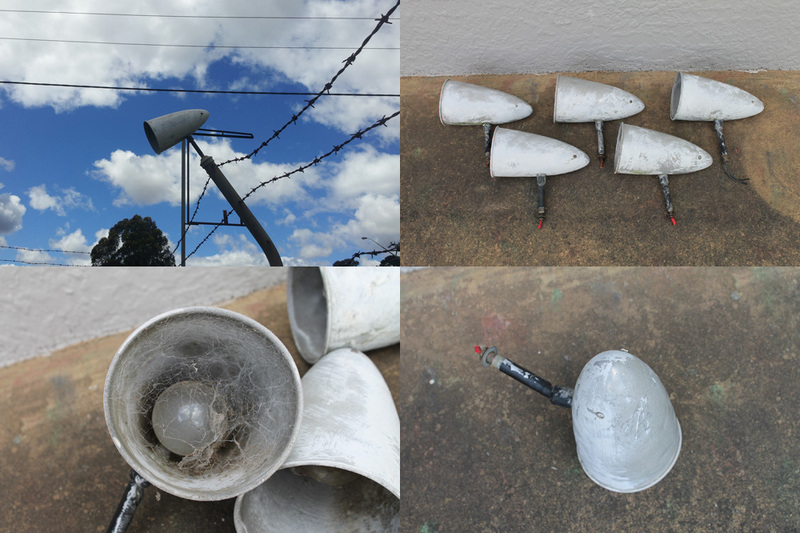 I’d been eyeing off these security light shades for months. Sitting atop of a barbed wire fence they were originally used to light up a display. Upon approaching the owner he was more than happy to move them on thus making myself the new owner! Manufactured out of Aluminium they have a great conical shape which tends to remind me of the famous ‘Airstream’ caravans that are ever so popular over in the states. I’d imagine they’d date from the 1950’s and appear to of been painted white at some stage. With the white paint well weathered it give’s them a great patina (don’t ask me why but I hate using that word, perhaps because it’s so mainstream now?). Anyways, what to do with them? I guess I could possibly make them into individual standing lamps however ideally I’d love to see them be kept together and used for their original purpose. Perhaps they could light up the front of a great looking Deco/Mid Century home, or be used in an industrial space looking down from the ceiling to direct light at specific display pieces. May be a little while till I make up my mind, however if interested be sure to drop us a line and we’ll see what we can work out. Wow, November already! It seems like it was only just yesterday when I was setting up the blog and getting the online store ready for its launch. Over the past 2-3 months you have probably noticed that the blog posts & our ebay listings have been a little slow. This has been due to myself starting a new ‘full time’ job which takes up most of my day. Now although the surface looks quiet, underneath we have been as busy as ever chasing new pieces for the online store, restoring furniture along with starting to plan the construction of a ‘studio’ that will be used to house all of our pieces in one place along with offering the customer the opportunity to view our items via appointment. Although it’s still a few months off we are extremely excited about the studio and what it will allow us to do! Tonight I thought I’d give you all a sneak peak at a few items that I’ll be listing for sale in the online store within the next week or two. 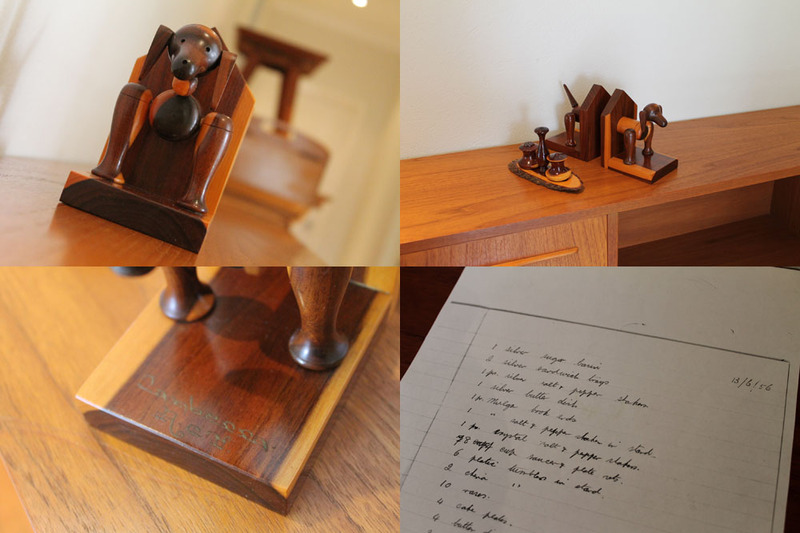 All of the pieces date from the 1950’s and possess that great style and design that is instantly recognisable. Owning one or more of these items won’t cost you the world either, with prices ranging from $15 – $175 they are all affordable items which will add that special touch to your mid century inspired interior. Be sure to keep an eye out in our store for these new and exciting items! 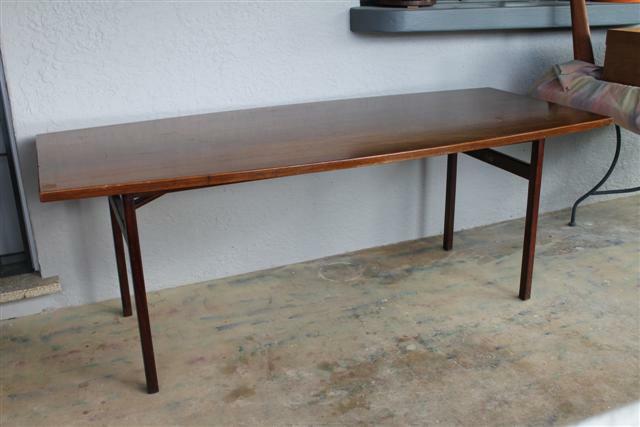 I was lucky enough to come across an amazing Jens Risom design table a few months ago. Anyway, I have been storing it away until I get the chance to completely restore it. Fast forward to the end of last week and I stumbled across 6 chairs for sale. They looked OK in the pictures, not great, however well worth a look. Upon further inspection they turned out to be exactly what I was after. They are manufactured from the same timber, being blackwood, have the same squarish design as the base of the Jens Risom table along with a complimenting curved back support. The use of blackwood, brass head screws for those that are exposed along with the interesting split seat design all point to these chairs being manufactured by a high quality furniture producer, possibly around the mid to late 1950’s. Full of excitement I couldn’t wait to put the chairs with the table and see if they would match……. It may be a few months until I get the time to restore this suite to its original state, however the wait will definitely be worth it. Stay tuned for more updates. Things don’t always go to plan………..
A few weeks ago I made mention here of how we were planning to implement some changes in regards to when we list new stock for sale in the online store. Well after 8 weeks we realise that not everything always go to plan and that that way of listing items is not working for us. Unfortunately other commitments (read – full time jobs) just does not allow us the time to structure things that way. Never fear though, with returning to the ‘randomness’ we release some of the pressure to ‘find and list’ new stock at the beginning of every month along with giving us more freedom & flexibility with our restoration projects! If you are concerned about missing out on that special piece, you can always contact us here and let us know what you are chasing! Be sure to check back over the next few weeks, there are some really awesome pieces coming up for sale!